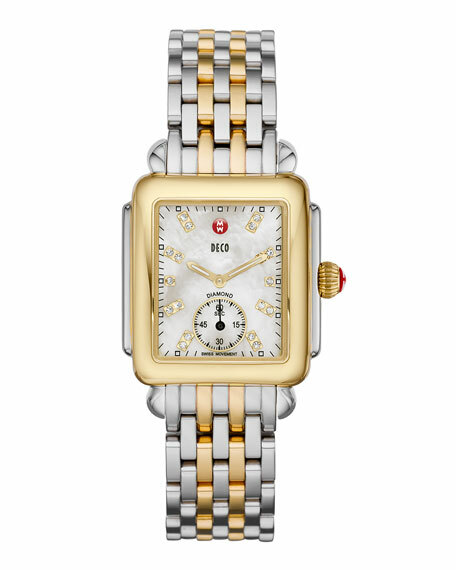 The architecturally inspired Deco watch, now in a more understated size. 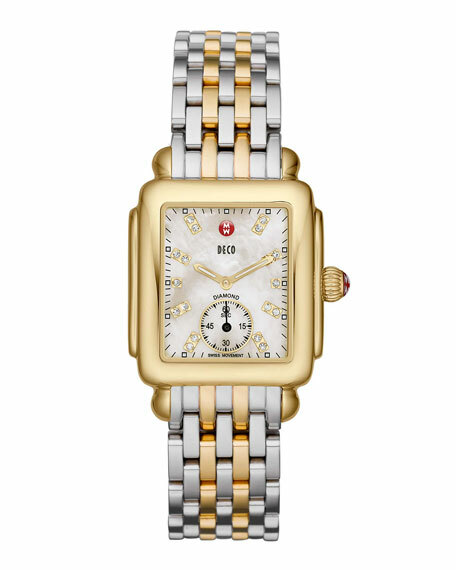 18 diamonds mark the hours on the pearlescent dial. 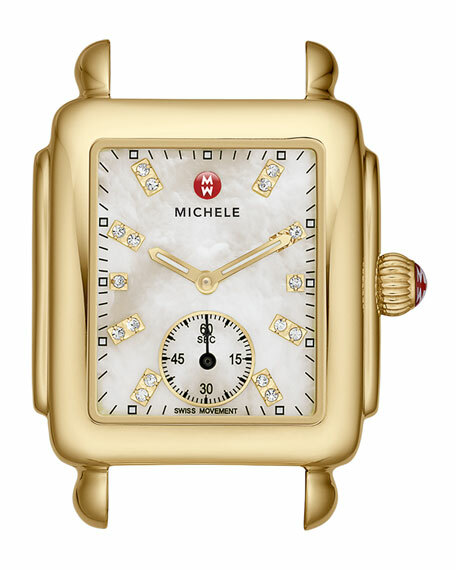 White mother-of-pearl dial with diamond hour markers; 0.08 total carat weight. 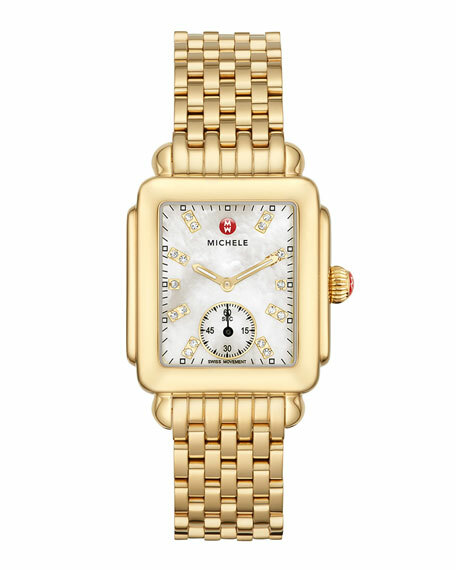 Interchangeable with any 16mm MICHELE strap (sold separately). Watch heads and straps are sold separately. 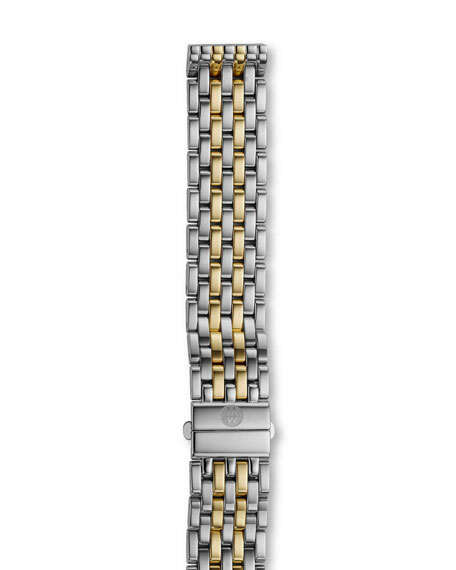 18-karat yellow gold plate and stainless steel links. Fits the "Deco" watch heads.